Transactional brands offer the right product at the right price at the right time. They launch ad campaigns that capture the audience’s attention. People pay a fair price, they are not particularly loyal, and the relationship is completely rational. Emotional brands, on the other hand, create irrational relationships—irrational in the most positive ways. They generate irrational enthusiasm. They charge irrational prices. They have customers who ignore the competition. They have evangelists who proselytize with clothing, online reviews and impassioned conversations around the dinner table. The best way to understand the power of an emotional relationship is to simply look at someone you love, like your children. Sure, your kids are extremely cute. But nobody gets more pleasure out of their photos and their videos than you. The relationship that you have with your children is not rational, it’s emotional, and that’s a beautiful thing. They look better to you than to anybody else. They’re cuter to you than to anybody else. They’re funnier and smarter and more entertaining to you than to anybody else. That’s the power brands have when they shift from a rational, transactional relationship to an emotional relationship. You know who some of these brands are: SoulCycle, Apple, Patagonia, Under Armour. At this point you may be sick of hearing about them. But irrational brands are popping up in the most surprising of categories. Take Yeti coolers, for example. They charge $650 for a cooler. Sure, they make a much better cooler than the competition, but they charge ten times as much as needed for a decent product. It’s not just that their customers happily pay this amount; they consider it a point of pride. As crazy as this sounds for a company that makes coolers, Yeti is a full-blown lifestyle brand. Those who can’t afford a Yeti cooler will proudly purchase a Yeti hat. While rational brands purchase 30-second interruptions and hope to God that somebody actually watches one, Yeti has a series of videos that extoll the virtues of outdoor adventures ranging from kayaking to fly fishing. They’ve been watched and shared millions of times over. Rather than simply sell products on the Yeti website, they use it as a storytelling platform. The site has dozens of the most inspiring stories I’ve ever seen. In the videos, the Yeti brand is almost invisible. In one video about a death-defying all-night kayaking trip called the Texas Water Safari, they feature everyday people who push themselves to the breaking point for the sake of winning a patch that has no financial value and no bragging rights outside of a small group of fellow competitors. The video is absolutely mesmerizing. With small cameras mounted on the kayaks, Yeti captures the thrill and danger of the event. It’s unlike anything most people have seen before. It captures viewer’s attention for a full 7 minutes. By comparison, the typical interaction with a digital ad lasts 1.6 seconds. The only time the Yeti brand is clearly displayed is at the very end of the video on the hat of a competitor who passes out in the grass after the event. The product placement is fun, authentic and completely frictionless. What Yeti proves is that removing friction is not only about taking away problems in the interactions that a brand has with its audience. It’s about providing value throughout the entirety of the journey that people go through in life. 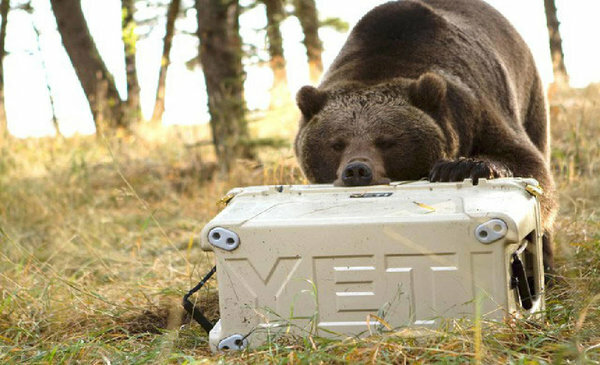 Yeti makes coolers that are certified grizzly bear–proof. Seriously, there’s an organization called the Interagency Grizzly Bear Committee, and it endorsed them. That’s clearly a piece of friction for those who are camping and fishing in very specific areas. But the greater piece of friction is that people desperately want to be inspired. Yeti fans don’t just watch the videos to be entertained. They are thought-provoking. They are motivating. They help Yeti fans envision a better version of themselves, one that is more active. More adventurous. More fun. Rapha is another brand with seemingly irrational behavior that is creating irrational results. They charge more than $200 for a cycling jersey. That’s four times as much as most other jerseys. Rapha customers don’t just happily buy the jerseys. They flaunt them. The brand is a badge. It’s a source of pride. Yes, they create very high-quality clothing and gear, but their customer loyalty is driven by something much bigger. Rapha focuses on enriching the cycling community. Rapha fans are not just looking for a great ride. They want to be part of a group of passionate, likeminded individuals. The need for belonging is one of the most basic of all human instincts. Rapha customers don’t just want to ride their bikes. They want to share stories and experiences. They want to push and be pushed to greater levels of performance. They have an insatiable need to be immersed in cycling culture. So Rapha retail stores don’t just sell products; they serve food and drinks and provide communal tables where riders can meet and greet each other. They are places where riders can tell tall tales and feel, innately, like they belong. Rapha helps riders get more out of cycling than simply exercise or transportation. But the true beauty of Rapha’s ethos can be found in the little ways they fight friction. For example, they realized that many of their shoppers take a bike to the store, and most of these bikes are expensive. So they’ve built bike racks inside the store rather than out front. That type of behavior at face value is irrational. Their location in New York City is one of the most expensive retail locations on the planet. And yet they’re using space to give people a place to put their bikes rather than using it to sell products. It’s unprecedented and absolutely not needed. But it shows a deep rooted understanding of the audience. It demonstrates respect. It builds trust. It’s easy to dismiss the lessons of Yeti and Rapha because they compete in the outdoor category. There will always be something implicitly cool about outdoor adventure. But emotional brands can be built in the most unlikely of places. USAA is a financial services firm for military personnel and their families. The friction that USAA removes is that people want more control and earning power from their personal finances, but ironically, most financial services do the exact opposite. USAA, on the other hand, makes transparency and control key performance indicators. Recently I received a call from USAA. To be honest, I was barely paying attention. I was just listening to make sure I didn’t miss a payment. Since it was USAA, I was willing to semi-listen. After a few minutes, I realized something and interrupted. “Wait, are you calling to tell me you are giving me money back?” I asked. “Yes, sir” was the reply in a sweet Southern drawl. Apparently, I had two different products with some crossover. They realized I didn’t need them both, adjusted my account, and gave me money back. The total was $176. That’s not chump change, but it’s not life changing either. What was changed, however, was my permanent perception of the company. As I go through the stages of life, I will consider and trust USAA before any other financial services company. That doesn’t make me unique. 92 percent of USAA members plan to stay for life. That’s an insanely high number, particularly given that loyalty is often the most important predictor of business success. Loyalty isn’t simply a goal for USAA. They structure every aspect of their business to build loyalty through empowerment. One quarter of its annual hires served in the military or come from a military family. They offer free financial advice to those being deployed or returning to civilian life. 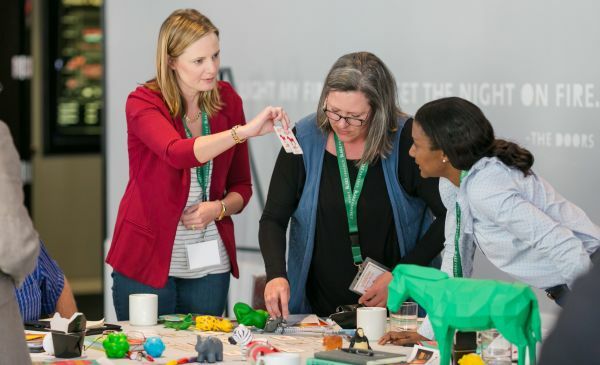 Their Educational Foundation conducts close to 850 financial management presentations annually to 50,000 attendees in the military community. Despite the fact that USAA is fundamentally smaller than the competition, they’ve been leading innovators. They created an app that enables members to make deposits simply by taking a photo of a check. While this technology is commonplace now, USAA owns the patent. They developed it so that overseas military personnel could remove the friction of depositing checks from the opposite side of the world. That’s not just technology. That’s empathy, empowerment and respect. Looking back on the last 100 years of advertising literature, most people consider brands a promise or a story. That’s insufficient. Ultimately, brands are a shortcut. Consumers are now bombarded with thousands of marketing messages every day. That’s more than any human being can manage. They need shortcuts. They need brands they can relate to. Brands that inspire them. So Yeti’s videos about outdoor adventurers, Rapha’s indoor bike rack and USAA’s customer service may not seem like much. But they help turn those brands into shortcuts. The audience knows that if the brand understands them at a fundamental level, then it’s a brand they can have a relationship with. It’s a brand they can fall in love with. There is so much truth to this post. People are loyal to something they identify with and brands that they feel share their values. They want to be a part of an experience rather than a transaction, and the example of Yeti is a great one. Great post, hopefully more companies catch on.